Haruka is a schoolmate of Riki's from a different class, but despite this, always seems to find time to hang around in Riki's classroom. She is a problem child and will start an uproar for her own personal enjoyment, which causes the public morals chairman Kanata Futaki, to often chase after her. 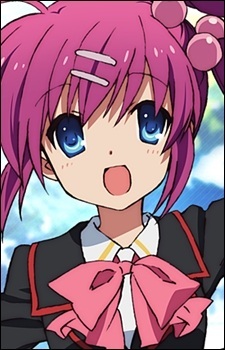 Kanata Futaki is actually her twin sister. Haruka was abused by her family (not her parents, who were kept away from her and Kanata), while Kanata was seemingly treated very well, though truthfully she was not. She thus starts trouble to bother her sister and shame her family name.